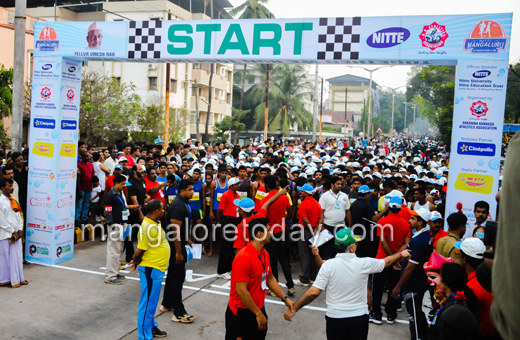 Mangaluru, Feb 22, 2015: The Nitte Mangaluru Half Marathon and 10 km run organised by the Dakshina Kannada Athletic Association and sponsored by Nitte Education Trust saw an enthusiastic participation by nearly 20,000 people both young and old in the city on February 22, Sunday. 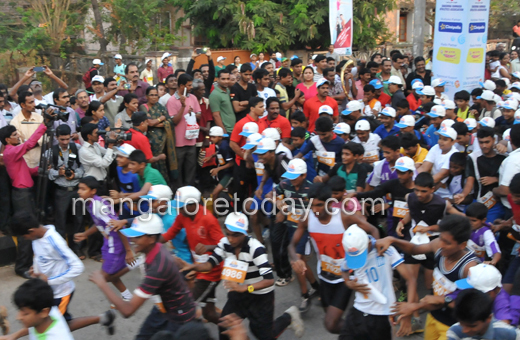 The Marathon was flagged off outside the Mangala Stadium at 6 am. The main objective of the event was to enlighten the youth on the importance of sports and fitness and also to ensure that youth power is channelized on the right direction. 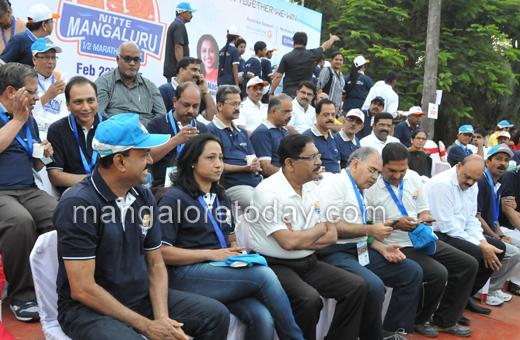 State Ministers Ramanatha Rai, UT Khader, Abhayachandra Jain, MP Nalin Kumar Kateel, KPCC Chief Dr G Parameshwar and renowned athlete Ashwini Nachappa were among the dignitaries who graced the occasion and inaugurated different categories of the event as part of the Half Marathon. 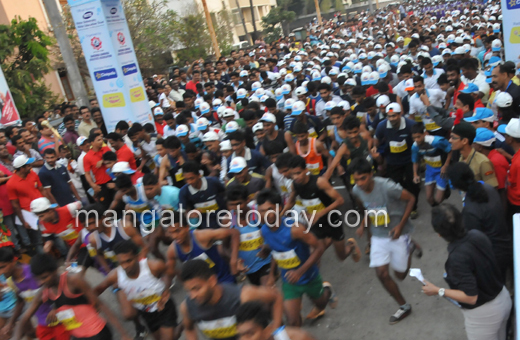 Dr N Vinay Hegde, Chancellor of Nitte University, Mahabala Maarla, city Mayor were also present.The marathon concluded near the Mangala Stadium after passing through Ladyhill, Mannagudda, Carstreet, PVS and MG Road. 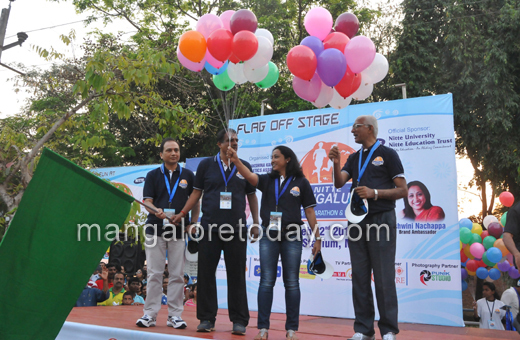 Special cash prizes were awarded to the top six winners in the open category (16 to 45 years) of half marathon and also to the winners of 10 km run. Prizes were also awarded to the top three place winners in senior category of half marathon and in the 10 km run in veteran category. 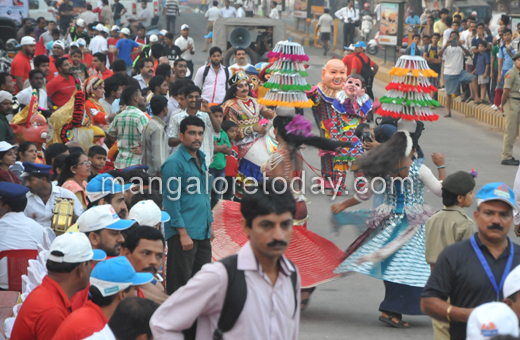 There were competitive and non-competitive categories as part of the event. The added feature was a “Nama Balipuga 5 km Fun Run” in open and non-competitive category.